Cages come in many shapes and sizes. I stood at the foot of the gate, gazing at the grey cement road that shot as straight as an arrow into the distance. Like a window to another world, the view was framed by towering iron fences. I glanced at my feet. Boots, black, with a shine so deep, one could easily see their own reflection. I had spent most of last night polishing them to perfection. I wasn’t sure why. It didn’t really make sense, considering that this was probably the last time I will ever wear them. Twenty-two years is a long time. The thought dawned on me. Twenty-two years of following orders. Not having to think. To simply just do. I had prided myself on my ability to carry out my orders to the letter. The row of glittering medals across my chest, proof of my deeds, demanded respect from all those who wore the same uniform. Yet before the day was out, these would become a relic of the past. Locked away in drawer, all but forgotten. Turning around, I looked over my shoulder. Buildings, two-storied with red bricks, much like those you could find anywhere in this part of the world, stood in orderly rows. To an ordinary man, these may appear the same as any other building. But to me, they were distinctively different. Different, perhaps not in shape or design, but in the emotion they stirred within me. Feelings of home, of belonging. “Left! Right! Left!” The voice of a drill sergeant marching his troops cuts through the air. “Platoon! Salute to the left! Salute!” The sergeant rhythmically calls to the ranks of men. With the kind of precision that only comes with years of disciplined practice, the Platoon snapped their hands to their forehead in unison. I return their salute, an action as natural to me as breathing. As the Platoon marched into the distance, I returned my gaze to the road ahead. I was being ridiculous. I had led men into battle. Faced death itself. But this feeling deep in my stomach was one I hadn’t felt in a long time. A pair of magpies flew overhead with joyful chirps and playful tumbling. Swooping from one side of the fence to the other, as if to mock my fears. “It’s all my head” I muttered under my breath. I was not sure what awaited me at the end of that road. But I knew it was a path I must take. Sink or swim, it did not matter. What lay ahead was endless possibility. Surely that is reason enough. A small part of me had wished I had made this journey earlier, at a time when I was younger. 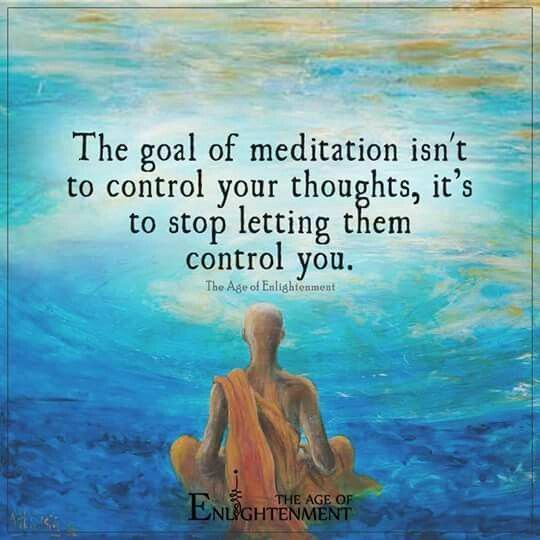 I let go of the thought. It was too late for regrets. With a cold sweat atop my brow, I grabbed my black case and stepped over the threshold. For the first time in 22 years, I was a free man. This story was created as part of a writing prompt from the creative cafe on Medium. Please let me know what you think in the comments and follow! “I don’t want to die.” The sob escaped my mouth, cutting through the blackness. Stones shift and grind as I adjust my position, offering slight relief from the cold, sharp ground. “There’s still so many things I want to do.” I could feel my voice shake. The usual excuses bubbled to the forefront of my mind. “I never had the time. I had to work. The car still needed paying off.” I thought. But could only manage a swallow. The thoughts sounding idiotic, even to me, in the cold pitch black. Time passed, as time does, in its steady relentless way. For how long, I couldn’t say. I drifted in and out of what could only have been sleep. The intermittent sound of dripping water, the only sign that I was still alive. Still no sign of any rescue. “I was once like you, you know.” A dry voice, the product of dehydration, sparking me to alertness. “I used to think that there would always be a tomorrow.” The man coughed. “It’s a lie. One that everyone seems to believe. Or maybe just not want to talk about.”. “What happened?” I managed, prompting for more. Anything to take my mind off the cold that had sunk deep into my bones. But the silence resumed. Maybe he had been talking in his sleep. Maybe he had died. “I had a family.” The man broke through the dark. “There was four of us.” He paused. “I had met my wife in school. We married and settled not long after. I started working here at the mine, and before long, two kids had come along.” The words seemed to strain him. I tried to focus on the man’s story, but I could feel my mind slipping away from my numb body. I didn’t even care anymore. I just wanted peace. “I thought those days would be like that forever.” The man’s voice was a little more than a whisper. It was enough to focus my mind. “A car crash took them. On the way to the lake. All four of them. I had been too busy to go.”. For the first time I recognised pain in the man’s voice. “I’m sorry.” The clumsy words tumbling from a numb tongue and clenched teeth. “Everybody dies”. The man’s voice mocked. I sank into the blackness. A dazzling white light shone before me. Voices shouting muffed words. I felt my body leave the floor. I blinked my eyes clear and looked around, my head heavy on my shoulders. A face catches my eyes. A still face, as if frozen in time. A curled smile etched into his lips. Before me laid an old man, his hair long since greyed. “Everybody dies” Echoed in my mind. Let me know what you thought in the comments! This week I had the fantastic opportunity to talk with the incredible author Devin Madson. Devin is the author of the Vengeance Trilogy, the award winning novella In Shadows We Fall, and her most recent, and SPFBO 2018 entered, novel We Ride The Storm. As you can see from my review, I am a huge fan of Devin’s most recent novel. Before we being, I would like to take this opportunity to thank Devin for being such an awesome person for taking time out of her busy schedule to talk with me. Hi Devin. Tell me a little about yourself. What do you like to do when you are not writing? There’s not a lot of that sort of time because I’m a workaholic, but I do love playing both video games and board games, and I read as much as I can. I’ve tried more useful hobbies like cooking and gardening, but it appears I’m terrible at everything else. How did We Ride The Storm come to be. When did you first get the idea to write it? How did everything come to together from there? Since We Ride the Storm technically continues on from a story I began back in my first trilogy, I always knew I would write it. And the two dozen other books currently planned for the same world. As it’s still a world people are coming to I didn’t want to shift too far from the original roots, yet it needed to expand so I branched out by choosing POVs from neighbouring areas and the story just developed itself from there. I plan in a very… loose way, but mostly I have a very big picture understanding of the whole history and each individual book is written by the seat of my pants. I loved your characters in your latest novel. The contrast between each and how this was expressed through the first person was something I found extremely interesting. Where did you get the inspiration to write three such different characters? Do you have a favorite? I think in choosing to write three POVs in the first person each character has to be very different, because three similar characters would view the events in the same way and the readers would lose the nuance… the greyness to the situation and might not see the weight of any given character’s decisions. In the case of We Ride the Storm, I knew I was writing a clash of cultures, and so to properly do justice to the fact that none of them are ‘right’ and ‘wrong’ I needed a POV from each. That Rah turned out honourable, Cassandra not honourable at all, and Miko in between was an incidental bonus rather than something I deliberately sat down and planned. Like I said, planning isn’t something I really do. As to a favourite, Cassandra was the easiest, Rah made me feel like a good person, and Miko makes me proud. That’s as close as I can come to an answer on that one. The pacing in We Ride The Storm was fast and furious. Is this something we can expect to see throughout the trilogy? Yes! It helps that there is a lot of story still to come. It’s actually planned (ha!) to be a four book series rather than a trilogy, with a new, fourth POV showing up in the next instalment. Things could change, but at this point I’m pretty confident that’s how it will go. Why do you write and what keeps you motivated? So many writers say they’ve written stories for as long as they can remember and it seems trite and overdone to say I write because I can’t cope with not writing, but authors say these things because they are true! It’s like being born with a disease I can’t get rid of and don’t actually want to try. I’m motivated in part by having an obsessive disposition and in part because I have SO MANY stories to tell that even a single day off seems like a waste of time. The reviews for We Ride The Storm have been fantastic so far. Is there any advice you would give to aspiring self-published authors? Make sure you’re ready. In most people’s minds you’re only going to get one chance to make a good impression. Just because self-publishing allows you to put out a book as soon as the first draft is done – don’t. Take your time. Get a good editor. Keeping working at it until you have the very best book you can write. I admit that I have yet to read your other works, but I am making it a top priority to do so. For a reader who is new to your works, where would you recommend starting from? Because people will always be entering my world at different parts of the history, it was important to ensure any Book One would be a good entry point. Depending on where you start you might have a slightly different experience of the entire story, but no spot is inherently better or worse. If you like chronology then In Shadows We Fall is the earliest, but Blood of Whisperers was the first. Generally I tell people to start at the book that calls to them the most. If We Ride the Storm sounds like your cup of tea then start there! We Ride The Storm was left on such a cliff hanger that I am eagerly awaiting book number two. When can your fans expect book number two of The Reborn Empire series? We Lie with Death is due March 2019! I am super excited. Depending on how a few other projects go, I will either keep up with the every 9 months release schedule for it, or stick with March each year. Great example of how motivation in all walks of life can decrease, and how goal setting can be used to increase it. If you want to know more on how to do this, see my post “Keeping Your Writing Motivation High: How To Set Goals” for more details. Let’s get real guys, my reading this year has been lackluster at best. At the outset of this year I declared that I would give myself more freedom and try not to focus on my Goodreads reading goal. After over half a year I think I can say that this approach has not worked for me. My entire year has felt a bit like a reading slump. My reading has ebbed and flowed between the feverish devouring of books to complete disinterest. Now, I will say that life has changed a bit and that may have something to do with my lack of reading. However, I do believe that in not keeping myself accountable I have made it too easy to just not read. I have seen a lot of advice drifting around on the internet, suggesting ways an author can overcome writer’s block. These often include things like – going for a walk, making coffee, having a break from writing, and spend some time doing something you love. These are all well and good, but what happens if you return from your walk and still find yourself staring at a blank screen? I think the problem with writer’s block is our lack of understanding of the condition and what it is exactly that causes such a frustrating condition. Scientific research of the area is lacking, however, it is suggested that the main cause of writer’s block is anxiety. Anxiety leads to a certain evolutionary response within the body that reduce the mind’s ability to think creatively. You may have heard it known as the “fight or flight” response. In my personal experience of writer’s block, anxious and stressed is certainly how I felt. I would sit staring at my screen worrying about the “what if’s” of not completing my manuscript and worrying that I may not possess the actual ability to complete it. And while a nice walk may clear your head and reduce the symptoms of anxiety, it may not be enough to reduce your anxiety to a level where your creative thoughts can run free. A popular, and what is becoming a well researched approach to reducing anxiety is mindfulness. Mindfulness is described as the non-judgmental acceptance and focusing on the experiences that are occurring in the present moment. This is a great psychological skill and one i have consistently used to reduce my anxieties in all parts of my life, including public speaking. Below are 4 ways which mindfulness may improve your writing. It is thought that our anxieties are primarily linked to thoughts of either the past or future. For example, you may have experienced feeling anxious during an exam. But it is not the actually process of taking the exam that is making you anxious, but the thoughts about what would happen if you do poorly in the exam that are causing the anxiety. Thoughts such as this are useless, as after all, the only thing we can do is effect what we do in the present. Learning to bring your thoughts back into the present moment reduces the source of the anxiety and increases your focus on the task at hand, helping to get your creativity flowing again. Have you ever become so engrossed in your writing that your mind becomes fully emerged in the world you are creating, you feel an unstoppable energized sense of focus, and feeling an enjoyment similar to when you first started to write? It is likely that you were in a state of flow. Research has shown that those who practice mindfulness find it easier to achieve this state. Mainly, due to the ability to ignore distracting thoughts and fully emerge oneself in the present moment. 3) Enjoy the writing process. When we do not focus our attention on the present, we numb ourselves to all the feelings we could be experiencing. For example, imagine eating an ice-cream. If you eat the ice-cream while thinking about what you are going to have for dinner, chances are you will not fully taste all the flavor that the ice-cream has to offer. Now, imagine you are eating the ice-cream while focusing all of your attention on the present experience of eating ice cream. Its smell, texture, and flavor. Much nicer, eh? This can apply too with writing. If you give the process of writing your full mindful attention, you may find that you start to enjoy the process much more. After long last, you have finally completed that first draft. Now it’s time for the edit. Yet when you come to read over what you have wrote, you find that your mind is drifting elsewhere. This is in part a natural occurrence, but one that can be extremely frustrating. Training yourself to be mindful can help to increase your concentration and stop your mind from drifting off into thoughts of the past or future. A great skill to have. So how do we become mindful? Mindfulness is primarily achieved through meditation, and like all psychological skills, it is not something that can be achieved overnight. However, after following a daily mindfulness program of just 10 minutes for 2 weeks, people have reported a noticeable difference in their thoughts and feel themselves becoming more mindful. Mindfulness is something that can be done for free with the internet offering great guides and videos, or even paid services if you are more serious about becoming mindful. In these you will find all you need to know about how to become mindful. I hope you have found this a useful post on how writer’s could benefit from mindfulness. This is part of a writer’s psychological skills guide that I am in the process of putting together. My other posts include Keeping Your Writing Motivation High: How To Set Goals, with more to come in the future. Please like and share and let me know what you think and if there is anything you would like to see in the future. Despite its difficulties, learning Japanese has been a huge joy. One of the most rewarding experiences of my life was during a trip to Japan. My girlfriend and I walked into a bar that was on the 5th floor of one of the many skyscrapers in Tokyo. A “salary man”, or businessman, was sat beside me. After a few drinks, I began to talk to this man sat casually beside me at the bar. He didn’t speak a word of English but we managed to have an in-depth conversation about the UK (where I live) and where he had visited and what he thought of it. A rather basic conversation you might think, but to me, this was a dip into a culture that I completely love, and otherwise would not have experienced. The look on my girlfriends face was an extra bonus. As a diehard fan of anime and manga, I had always wanted to learn Japanese. But I was not stirred into action until I was backpacking around Europe. I met some amazing people, all from different parts of the world, who all spoke at least 2 languages, some even speaking 3. They were slightly taken back by my amazement at their linguistic abilities. I think it is unfortunate that native English speakers rarely learn a second language, which is understandable as there isn’t really a need for it. However, I think if more people learned a second language it will help to reduce the barriers and misconceptions we hold about other countries and cultures, which this world could probably use more of. If anyone is interested in finding out some free resources where they can learn Japanese, leave a comment and I will get back to you as soon as I can.